Here, five Des Moines drink pros hit us with their best shots for the season—fortifying drinks that are sure to add a new style of merriment to the coming months. 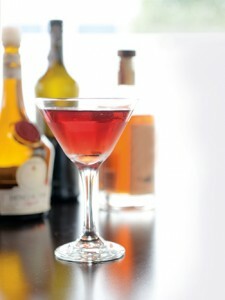 Developed by a New York City bartender, the original North Atlantic cocktail mixes Calvados (an apple brandy), Benedictine, Madeira or port, and bitters. 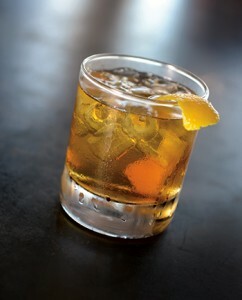 Although the story behind the drink’s name is murky, in the mind’s eye, you can imagine seafarers fortifying themselves with the French and Portuguese spirits in their cargo hold as they chugged their way from the continent through icy, choppy waters to the northeastern U.S.
Schreiber, who took second place in the 2014 Iowa Restaurant Association Mixology Championships, offers a version that stays close to the original template with the Benedictine, Port and bitters; for the Calvados, however, she goes native, using Cedar Ridge apple brandy from Swisher, Iowa. She also adds a little eye candy with her star-punched apple slice. In the kitchen, Sean Wilson is the acclaimed chef-owner of Proof restaurant; get him behind the bar, however, and he takes on the persona of Doc Wilson, a kind of madcap scientist with a penchant for Rube Goldberg-esque ways to craft his one-of-a-kind cocktails. Consider his take on the Old-Fashioned: He heats Cody Road rye in a coffee siphon, allowing the spirit to briefly percolate into the upper chamber, which contains a mixture of bitter orange peel, cocoa nibs, black pepper and allspice. The good doctor then shakes his infused rye with Allspice Dram (a spicy rum-based liqueur), tonka bean bitters and simple syrup. 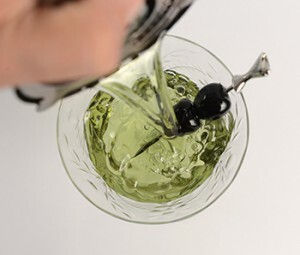 For the final flourish, he pours the cocktail over a giant smoked ice cube, which he makes by smoking water with a handheld smoke gun and freezing it in specialty molds. The most fascinating cocktails are multidimensional, becoming one thing and then another as you sip them. That’s precisely the effect of the Orsetto, which mixes Italian spirits Fernet-Branca and Liquore Strega with fresh lime juice and simple syrup. After a taste or two, pleasingly bitter qualities give way to the exotic herbal-spice tones. Sometimes the lime’s tartness comes through; other times, its fruitiness. 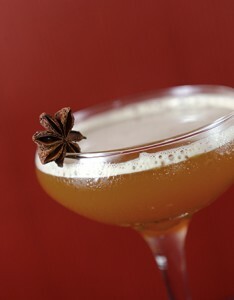 Meanwhile, the garnish of star anise visually captures the light licorice-like tones of the Liquore Strega. The Orsetto can be enjoyed either as an apéritif (a before-dinner drink meant to stimulate the appetite) or a digestive (an invigorating drink designed to ward off after-dinner sluggishness). It’s bright and citrusy enough to kick off the evening, but is recommended after a heavy meal as well. “It’s cleansing,” Eldredge said—exactly the effect you want from a digestive. This potent libation is Schulze’s homage to the cocktail that began the current craft mixology movement. 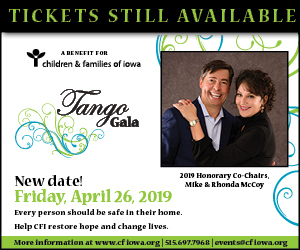 “It’s based on The Last Word, a drink that hails from the Prohibition era and exudes the naughty mystique of cocktails from those years,” explaines Schulze, who was named the state’s top mixologist in the 2014 Iowa Restaurant Association Mixology Championships. Shulze also took home the competition’s People’s Choice award. Combining gin, lime juice, Chartreuse and Luxardo, The Last Word was rediscovered by Seattle bartender Murray Stenson in 2004 and soon afterwards became a cult sensation. “It took on a life of its own as sort of the icon of cocktail balance,” says Schulze. Schulze’s Deathbed Confession stays true to the Chartreuse (a botanical liqueur) and Luxardo (a Maraschino liqueur), though he substitutes vodka for the gin, “reducing the botanical bite just a bit,” he says. Instead of simply using lime juice, Schulze freezes three kinds of juice—lime juice, Key lime juice and Rose’s lime juice—into a giant round ice cube, which chills the drink without diluting it. He garnishes it with head-spinningly good Luxardo-soaked cherries, imported from Croatia. “I couldn’t resist,” he says. Schulze describes his cocktail as decidedly strong yet very drinkable, balancing the fundamental elements of pungency and sweetness. ”My intention is to create an unforgettable little memory that you take away from your dining experience at Splash,” he says. This cocktail proves it all over again: No one does simple elegance quite like the French. At first glance, the Lady Baru seems a basic riff on the Kir Royale—the classic French apéritif of crème de cassis (black currant liqueur) and Champagne. But like all great cocktails, it’s all in the details. 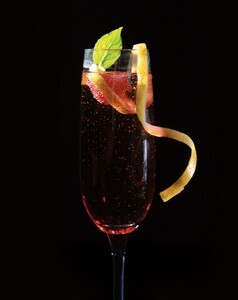 Designed by chef David Baruthio (though often poured by his wife and Baru co-owner, Sara Hill), the cocktail starts with Chambord, the opulent black-raspberry liqueur from the Loire Valley, in place of the crème de cassis. They fill the glass with Gruet Demi Sec, a sparking wine from New Mexico that’s graceful yet lively, and ever-so-lightly sweet. In a word, feminine. The garnishes—a sprig of mint, a raspberry and lemon peel—do more than pretty up the drink. The herb adds a cool freshness and the raspberry deepens the fruit, while the citrus adds spark. The trio delicately enhances the mix, making this understated creation the Coco Chanel of local cocktails. Clean, serene interiors showcase Jeanne and Richard Levitt’s art collection.